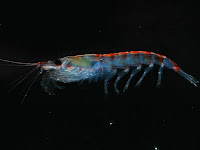 The outbreak of seabird deaths this spring and summer in Northern California has scientists turning their attention to krill and how some animals can adapt to changing foodstocks and others don’t. In a story in the San Francisco Chronicle today, researchers are studying how the disappearance of Anchovies – that left diving birds like Cormorants starving – has affected other animals like humpback whales. The whales adapt better and have turned their feeding attention to more krill, a type of shrimp-like marine invertebrate animal. 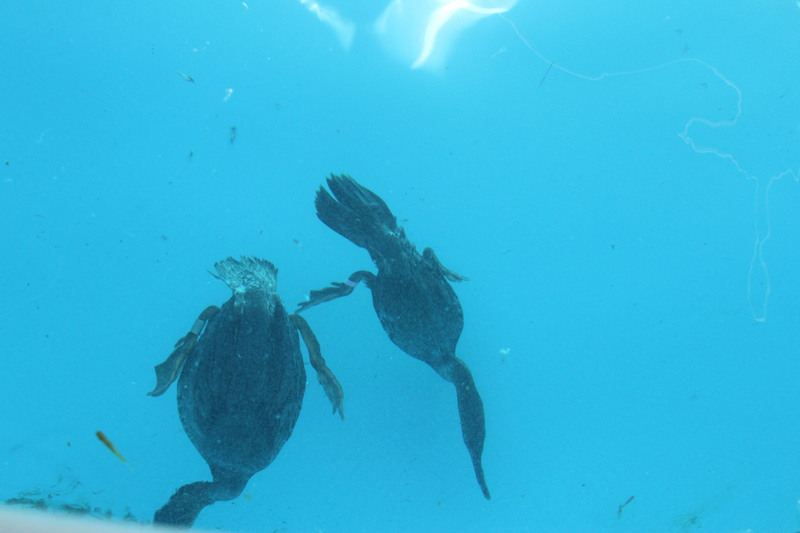 Cormorants haven’t or can’t adapt to feeding on other forms of ocean food. Here at IBRRC we saw huge numbers of dead and dying Brandt’s cormorants along beaches in Central and Northern California. 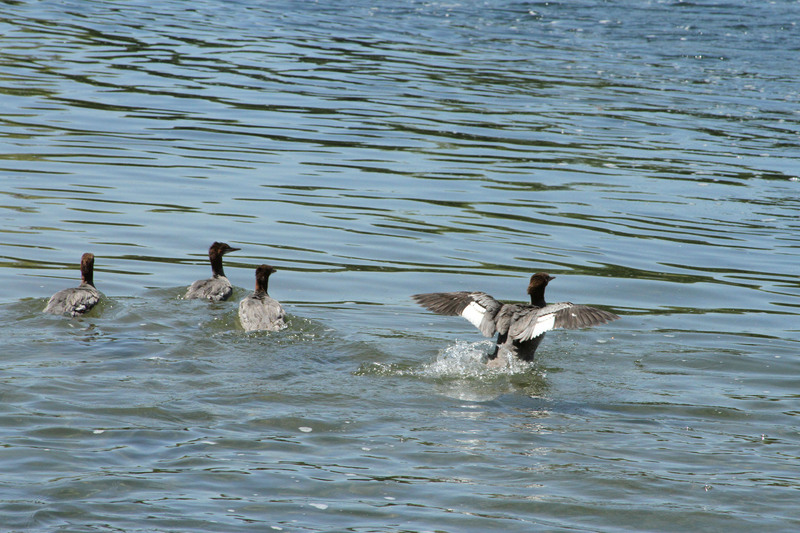 The birds can dive as deep as 300 feet for prey. According to PRBO researchers the birds did not produce any chicks this year on the Farallones or on Alcatraz Islands. 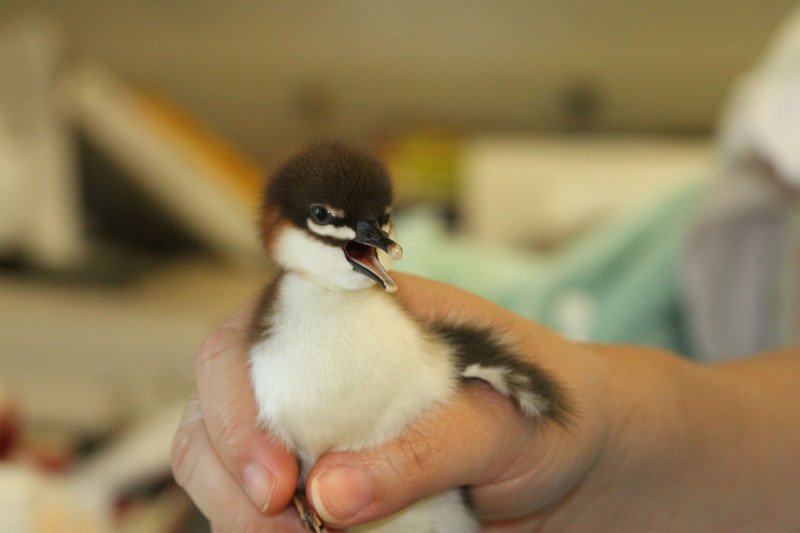 This is compared to a total of 15,000 chicks in 2007. According to scientists, the Cassin’s Auklet, a small seabird that feeds on krill, has had above-average nesting success this year. 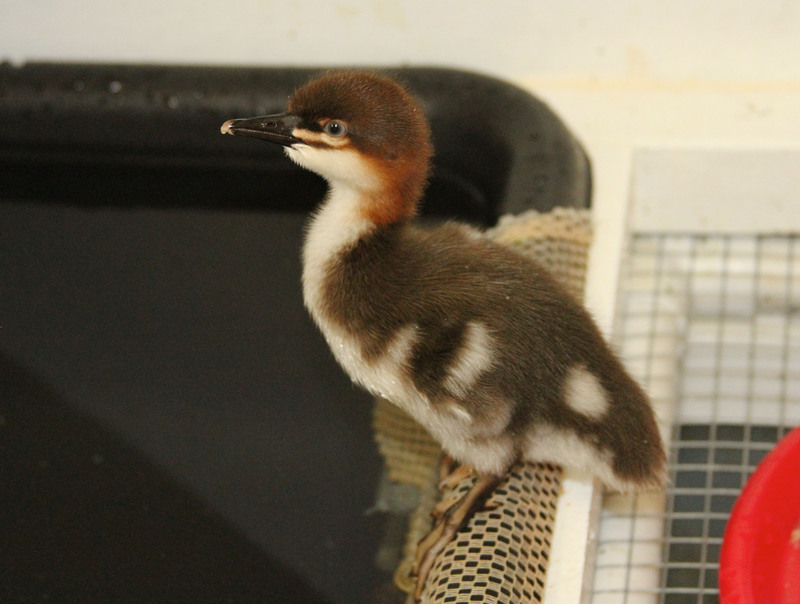 On April 23, the International Bird Rescue Research Center (IBRRC) in Fairfield got a call about a Brandt’s Cormorant hanging out at the El Cerrito del Norte Bay Area Rapid Transit (BART) Station. One of our long-time volunteers, Carol Lombard, went to the station to try to capture the bird. It was thin and weak. With the help of five or six people waiting for their train, Carol was able to capture the cormorant and bring it to the center. As she put it, “these people put their lives on hold to help me rescue this bird”. They used their sweaters and jackets and briefcases to help “contain” the animal so Carol could do her thing. The bird has now gained 300 grams. It is feisty as all heck, says Marie Travers in the IBRRC clinic. It’s referred to as a “monster” now, and is going to be released soon. We have no idea who the people are that helped Carol that day. We’d like to publicly thank them for their collective efforts. – A big thanks from the IBRRC Staff! Note: The El Cerrito BART Station cormorant is the bird on the far right. Beginning in mid-April, natural resource agencies began receiving reports of dead and dying cormorants (and occasionally other coastal birds) in the San Francisco Bay Area. Dozens of dead Brandt’s Cormorants were found at a nesting colony on Alcatraz Island, and more that 100 have since been reported or recovered on the coast from Marin County south to Monterey County. 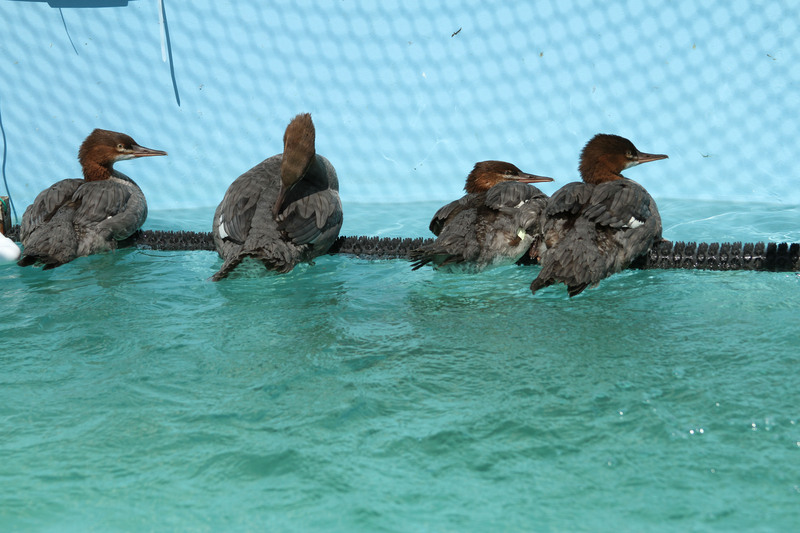 In addition, dozens of live sick cormorants have been recovered by local wildlife rehabilitation centers, including OWCN member organizations WildCare and International Bird Rescue Research Center. 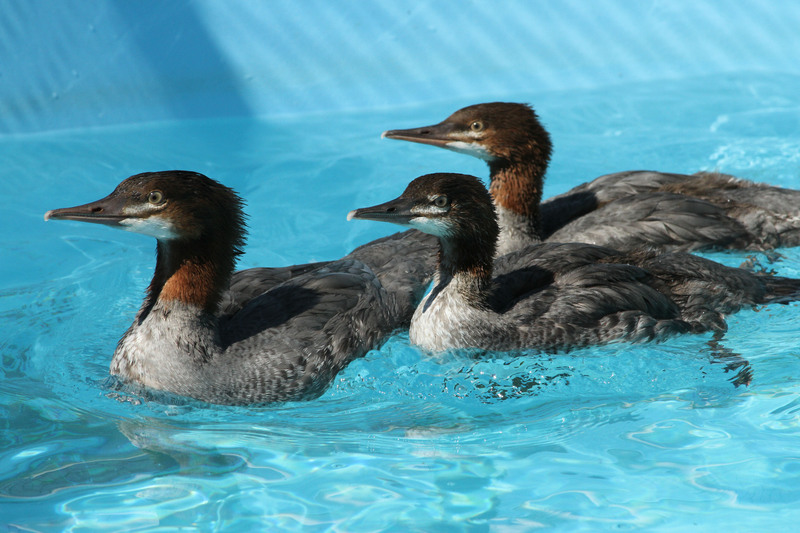 More than 25 injured live cormorants have been delivered to the San Francisco Bay Oiled Wildlife Care & Education Center, where staff and volunteers from IBRRC and the UC Davis Wildlife Health Center are providing care to these birds. According to the IBRRC Blog, Exec. 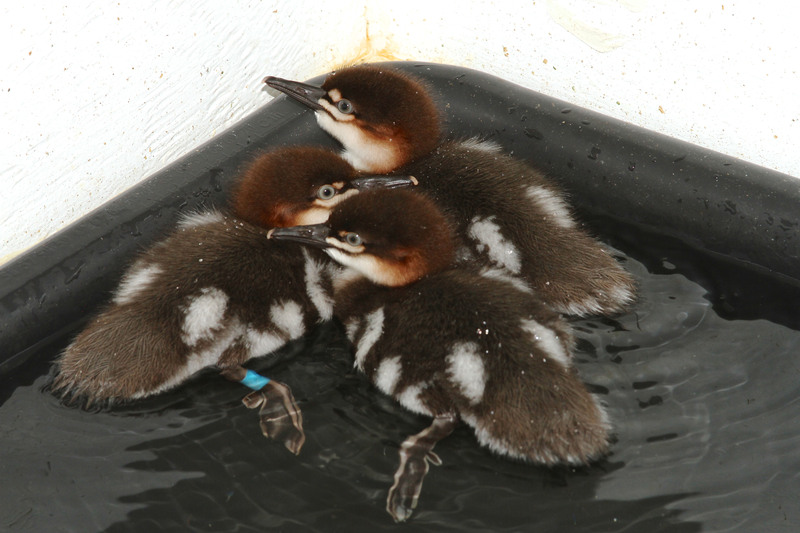 Director Jay Holcomb describes the birds in care as “…adults in beautiful breeding plumage…in a weakened state but respond(ing) well to a treatment of fluid therapy and lots of fish”. The California Department of Fish and Game Marine Wildlife Veterinary Care and Research Center in Santa Cruz is conducting post-mortem exams and taking the lead on investigating potential causes of the unusual mortality event, with assistance from a number of organizations (including the OWCN and the UC Davis Wildlife Health Center). 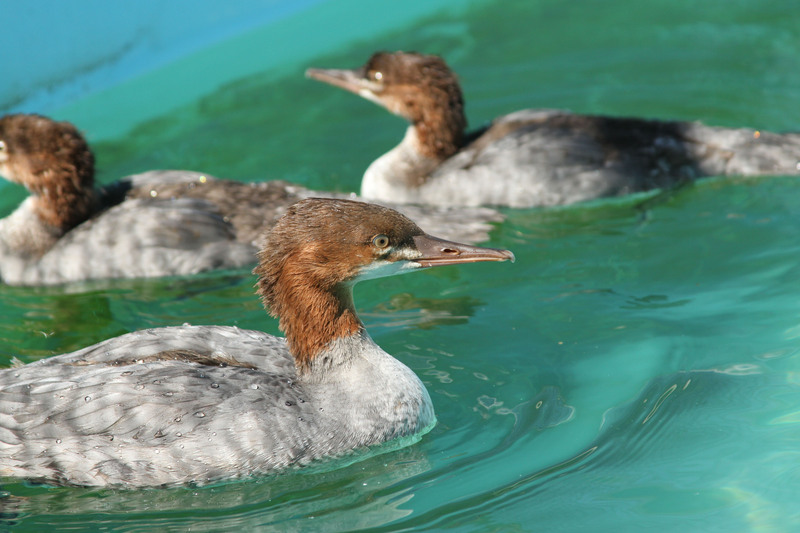 The dead birds found thus far are extremely emaciated, and showing no signs consistent with environmental contamination or infectious disease. However, samples are currently being checked for Newcastle Disease, Avian Influenza, West Nile Virus, and Domoic Acid toxicosis. There is no concern that these birds are carrying the recent H1N1 Influenza A (so-called “swine flu”) virus. 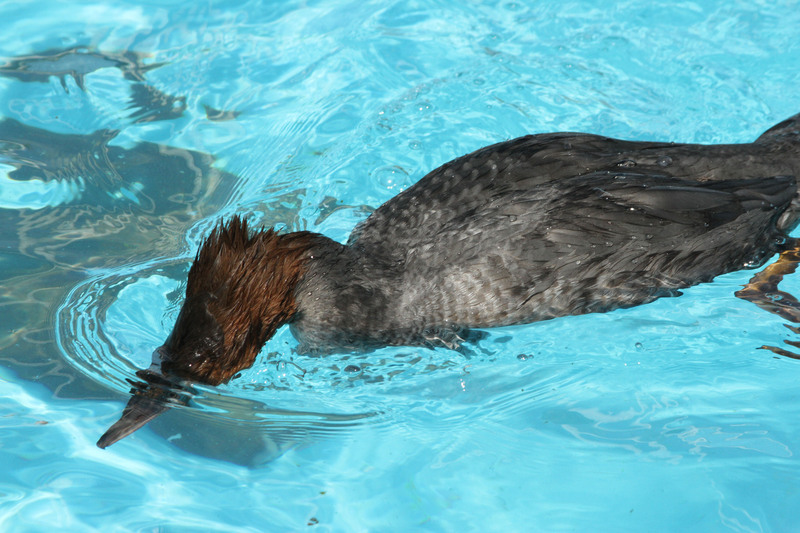 Cormorants feed on small fish that they capture by diving from the surface of the water. If the birds are starving due to lack of prey, it is not currently known what might have caused this abrupt change in prey availability, although the die-off began during a period of unusually strong northwest winds. There is no need to report dead birds to wildlife agencies and the public is asked to leave dead birds where they are found. Regular surveys are being conducted by volunteer monitoring programs established by the Gulf of the Farallones and Monterey Bay National Marine Sanctuaries to document the number and location of dead birds. 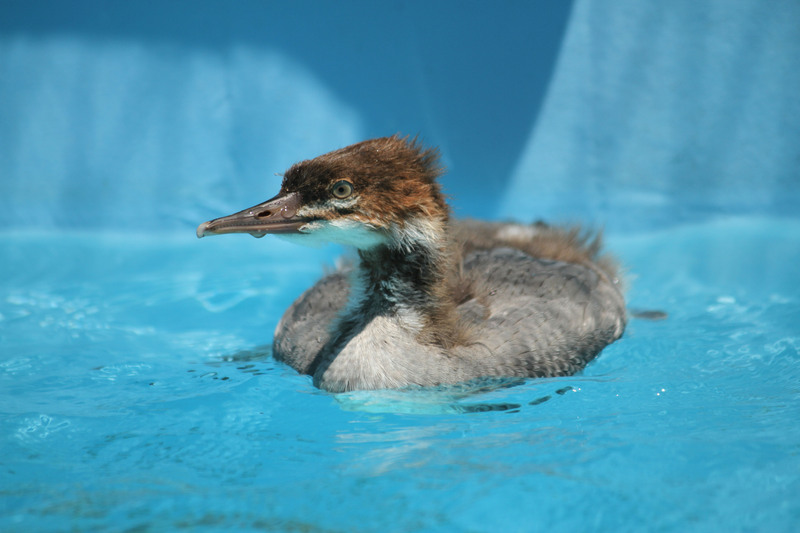 If very large concentrations of dead birds are found, they can be reported to the Marine Wildlife Veterinary Care and Research Center at (831) 469-1745. 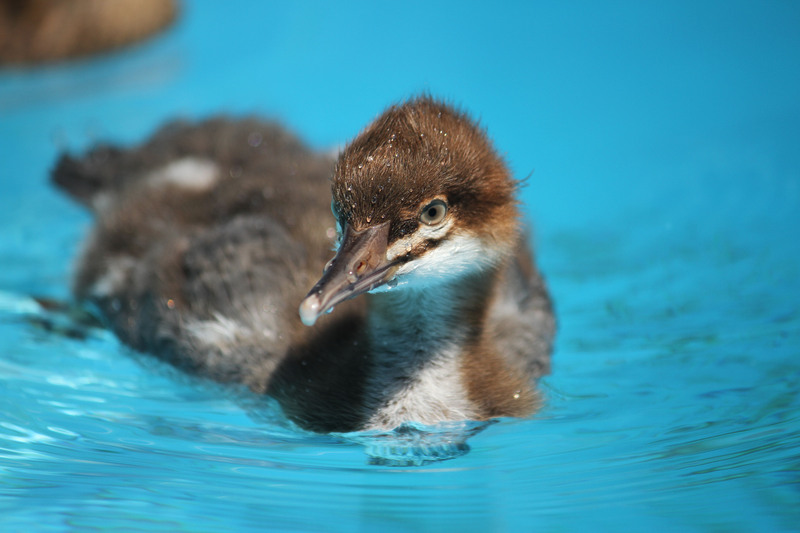 Live birds in distress can be reported to local animal control or wildlife rehabilitation groups (contact info for local OWCN member organizations may be found here). 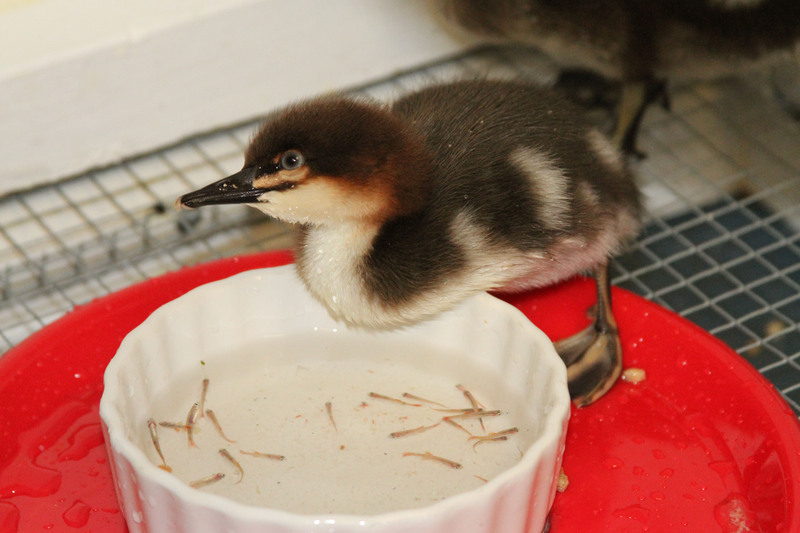 If wildlife that may be oiled or otherwise contaminated is found, this information can be reported to the Oiled Wildlife Care Network at 1-877-UCD-OWCN. 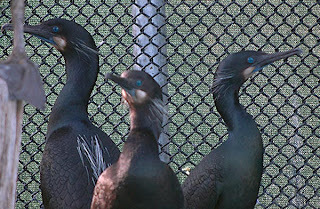 More information on Brandt’s Cormorants may be found on the Cornell Lab of Ornithology site. As we enter into an already busy spring season I wanted to take a few minutes to say thank you to everyone who supported IBRRC during the last year and more recently during the pelican event that we experienced this winter. 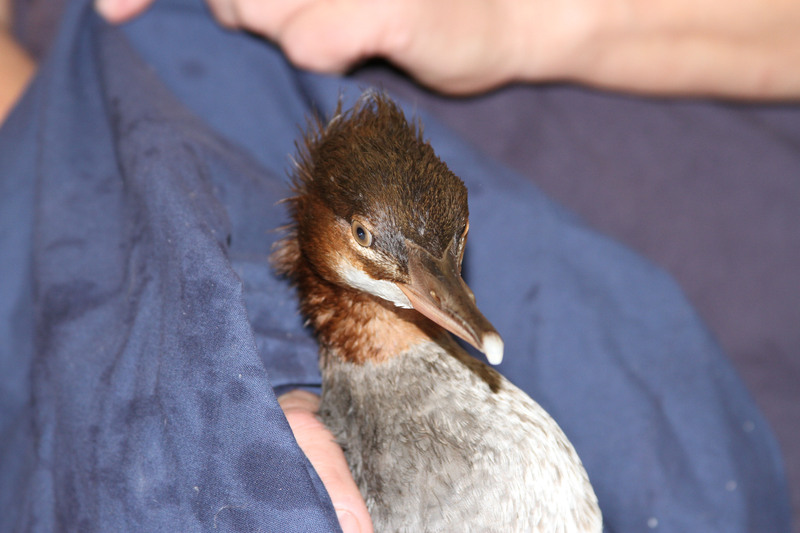 We enter into spring with a smaller but similar influx of sick and disoriented birds. This time they are Brandt’s Cormorants. We have about 25 of them at the center right now and are expecting more soon. Most of these birds have come from the South Bay Area: Alviso and San Jose and some from Monterey as well. 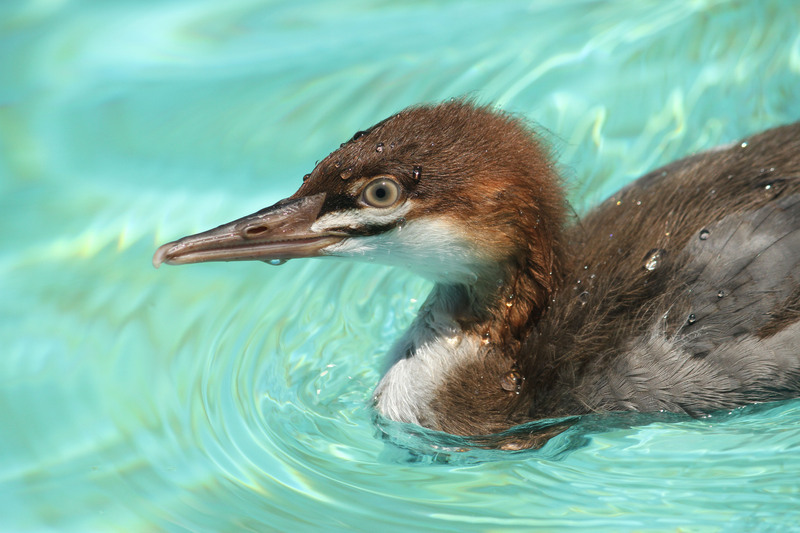 Most are adults in beautiful breeding plumage and all are in a weakened state but respond well to a treatment of fluid therapy and lots of fish. We also worm them as a courtesy to them to help them get back on track. 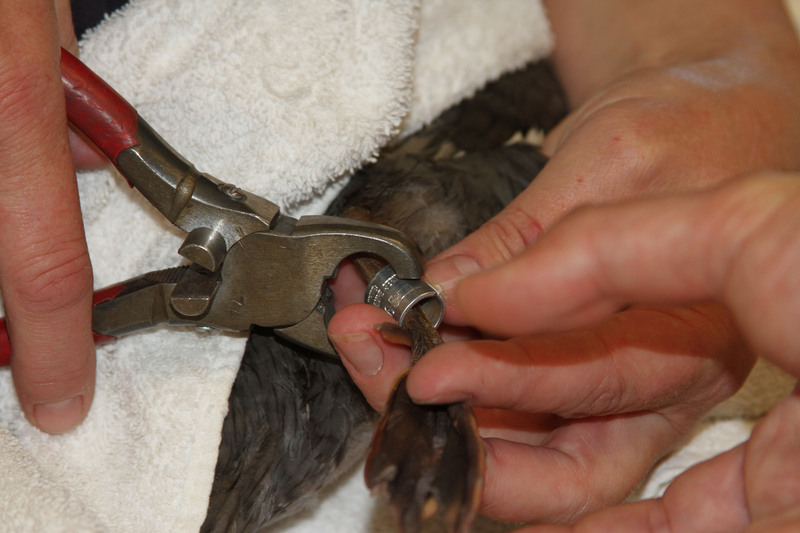 All seabirds have internal and sometimes external parasites and although these are normal, they can aid in weakening a weak bird even more. We asked the biologists at PRBO Conservation Science about Brandt’s Cormorants and how they should be acting this time of year. Here is a bit of what they communicated back to us on April 16. “We have the largest breeding colony in the area on the Farallones, but the birds have been AWOL all spring. Usually we would have birds setting up nests by now, but they haven’t really even been around the island so far. My guess is that they are hanging out along the coast and foraging near shore. This also happened last year and we ended up with the smallest breeding population of Brandt’s and lowest reproductive success in almost 20 years. Similar failures were observed at colonies throughout northern California and Oregon. I hope that this is not the first sign of another colony failure. 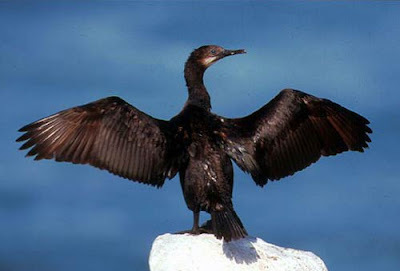 So, IBRRC’s present theory is that these groundings of thin and weak adult cormorants are a combination of high winds, choppy seas and lack of fish. No signs of disease, seizures or anything else that would indicate something like domoic acid or Newcastle’s disease has been observed. Is it caused by climate change? Well, our climate is changing and we are seeing more of these die offs. In my 38 years plus of doing seabird rehabilitation along the coast of CA I have experienced die offs of scoters, loons, pelicans and some other species but they are clearly happening at an increased rate. I do want to point out that even as early as 50 years ago there were not rehab groups like IBRRC who took in these birds nor were there organizations like PRBO who studied seabird population levels so these types of “natural” or unnatural events may have occurred and go unnoticed. Who knows? But for sure, they are happening now. 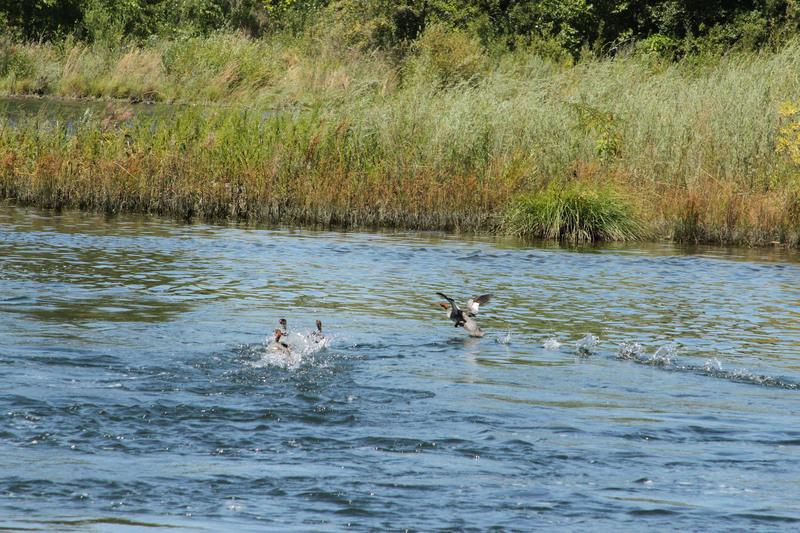 The weather and the seas are changing and that means that the animals that rely on them will have to deal with that also as we saw with the pelicans that experienced and unseasonable cold flash in Oregon and Northern CA this winter and now the cormorants. We will keep you updated on the current situation as it changes. 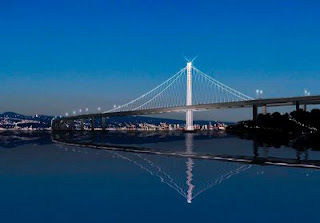 New Bay Bridge will have "Corm Condos"
The long-delayed San Francisco-Oakland Bay Bridge project might be good for the birds too. 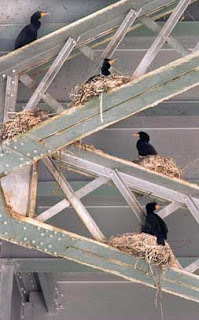 New “Corm Condos” are being built to give cormorants a newer place to nest underneath the $6 Billion bridge. The 2 1/2 foot wide steel perches are being added to the eastern span of the Bay Bridge at a cost of $550,000. Double-Crested Cormorants have been roosting beneath the old span for more than 20 years. If the birds don’t take to the new digs on their own, biologists will try to entice them by painting cormorant silhouettes on the perches, playing recordings of cormorants and putting up mirrors on the platforms. Then there’s the $750,000 that Caltrans is spending under a four-year contract for a small boat crew of binocular-armed ornithologists. Their job is to scour the old bridge for as much as 10 hours a week, keeping an official count of the cormorants along with a handful of endangered birds that inhabit the structure, including brown pelicans, peregrine falcons and least terns. In reality, we’re trying to share the fragile bay waters with a lot of wildlife and this cost doesn’t seem to high to help the birds have new nesting areas when the old span – built in 1936 – makes way for a newer bridge in 2013. If we can spend $15 million on adding bike lanes to the bridge, another million and change seems fair. And hello, it turns out measures to protect the cormorants are because of federal and state regulations to help native and endangered habitats. The original Bay Bridge has been the subject of concern after since a top deck roadbed section collapsed during the Loma Prieta earthquake on October 17, 1989.